WeChat is China’s largest and most dominant social network. After WhatsApp, it is also the second biggest messaging platform in the world. Yet this online behemoth is often neglected by international companies setting out to expand their business in China. Many companies who seek Chinese translation services funnel their translated content into more traditional marketing streams and tend to overlook this exciting global platform. This problem may stem from the fact that WeChat, owned by tech company Tencent, is widely regarded by many as just another messaging app. In reality, however, it also performs traditional social media functions such as sharing photos and videos, encompasses online shopping and payments, and even allows users to play games and enter competitions. The beauty of WeChat is that it’s like having Instagram, Facebook, Whatsapp, Uber, Monzo and every retail app all rolled into one ‘super app’. It’s designed as a one-stop-shop for the end-user and provides the ideal online environment for brands to get noticed in the Chinese market. There are over 1 billion monthly users. A monthly user base of more than 1 billion people makes WeChat the perfect platform to help you connect with the Chinese market. Its demographic is young urban residents who typically make the most online purchases, are the most internet-savvy and have an increasing level of disposable income. To stand a chance of getting their attention, your online presence needs to include WeChat. Your content will reach your target customers in a way no other platform can allow. Getting your content in front of the right people is the first step, so WeChat gives you the chance to create content and target it to specific consumers who subscribe to your company, based on their browsing history or location. The platform offers two different account types for businesses: Subscription or Service. Subscription allows you to push regular content and notifications which are displayed in a sub-section for users who subscribe to your account. The Service option is more advanced, and your content will reach your subscribers’ main ‘Moments’ feed (similar to the Newsfeed feature on Facebook). Attracting users to subscribe to your account is essential for success, so many businesses offer exclusive WeChat special offers just for their subscribers. There is a much stronger culture of sharing posts in China, so producing the right content will lead to greater rewards than on similar social platforms. You can communicate directly with consumers and see their reactions and feedback in real-time. Unlike most typical channels, WeChat lets brands and followers have direct conversations. Normalizing this kind of personalized communication makes gauging consumer satisfaction easier. When companies show off their new products on WeChat, they can see live updates on the consumers’ first impressions, receive honest reactions and capture the data immediately. It makes converting offline to online leads easier. WeChat gives e-commerce companies the chance to set up a digital ‘Micro Store’ so that users can browse products within the app and easily make purchases in just a few clicks using their WeChat wallet. Online shopping doesn’t get much easier than that! QR codes are also widely-used in China and with just a quick scan, anyone who comes across your brand in the physical environment will be connected to your WeChat account, and thus your Micro Store, within seconds. Better still, why not give consumers an incentive to scan it? Ensuring your QR code is visible on all your product packaging, in-country stores and your other online presences, is essential to engaging Chinese consumers. Its users aren’t just in China. Even if you aren’t currently planning on doing business in China, WeChat should be on your radar as it is beginning to expand further afield. It is estimated that there are over 100 million WeChat users outside China and the company is actively focusing on gaining more users in other major markets such as India, South East Asia and Latin America. The system currently supports over 20 different international languages, and this number is set to grow further in the years ahead. 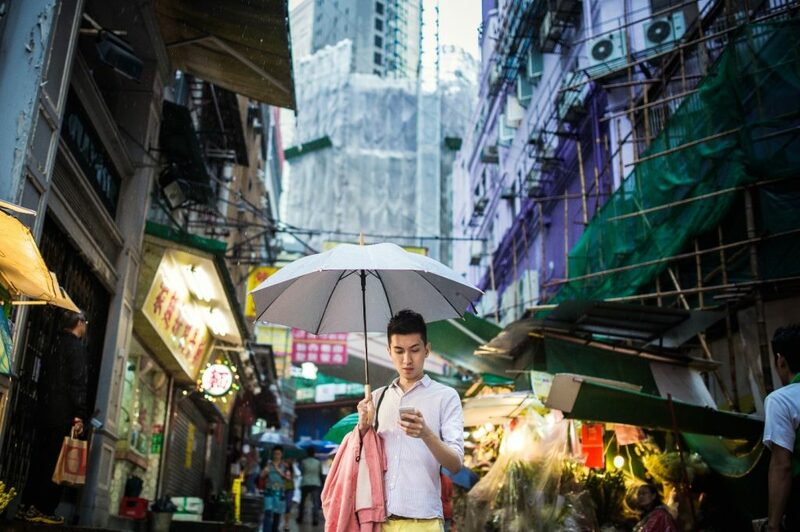 WeChat gives brands the chance to develop their e-reputation and visibility in new markets on an unprecedented scale. Using it to engage with consumers in their own language is the most effective way to rapidly generate new leads digitally. For Chinese translation and Chinese transcreation, and to ensure your business is reaching its full marketing potential across the globe, get in touch with The Translation People today for a free quote and consultation. Translation, transcreation, localisation… what’s the difference?